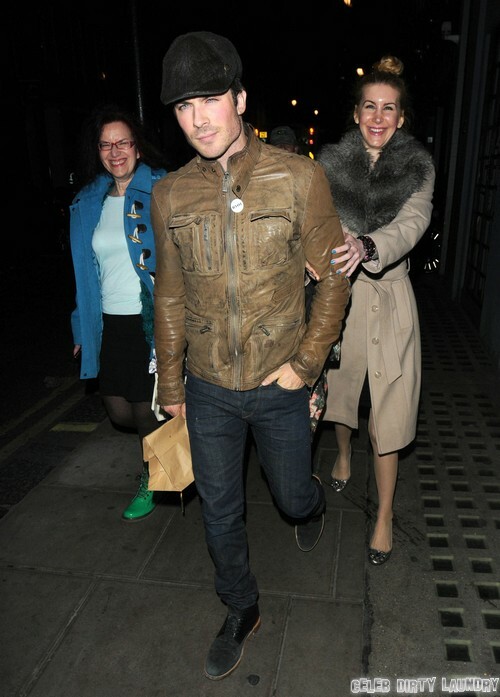 Another weekend, another random chick on Ian Somerhalder’s arm. Fans of his relationship with Nina Dobrev need not worry, this chick like all of the other recent ones’ won’t last more than a night. 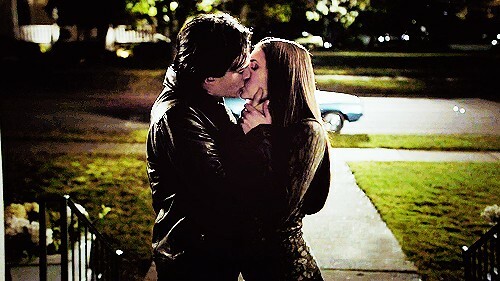 In fact, sources are now saying that Ian was never really looking for a relationship at all! He is carefully guided by his PR team and is smart enough to realize that, in terms of his career, they absolutely know best. Once his Vampire Diaries character caught on and his star power took off, all he needed to do to really sky rocket was date a hot co-star. Enter Nina Dobrev. She was the obvious pick and the fact that she and Ian get along great was an added bonus. A showmance was born. 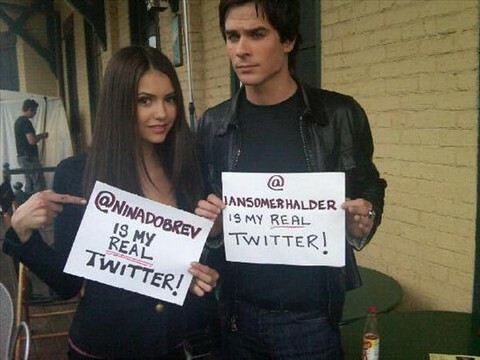 They kept it quiet for quite a while and I’m sure that Nina really did win Ian over but this was never intended to last. The problem here is that Nina really fell for Ian which is why she is still struggling with the split. He has easily moved on because his heart wasn’t totally in it in the first place. Now he is just living in the moment and not thinking very far past it. When it comes to the important stuff, well, it’s scheduled perfectly for him. But now he is free of the chains of that long term situation with Nina. I have to wonder what the plan actually is for him. Do you think he will be strategically linked to another Hollywood hottie that props up his career? Will there be a newcomer to Vampire Diaries that Ian takes a liking to in real life? What about Nina? Do you think that she really was invested in her relationship with Ian? I know there have been all sorts of things in the press about her just not wanting to get married yet, but is that a pile of crap to save face? Is she really just feeling like a fool? Tell us your thoughts in the comments below! Ian Somerhalder To Dump Nina Dobrev – She Isn’t Eco Friendly Enough For Him?